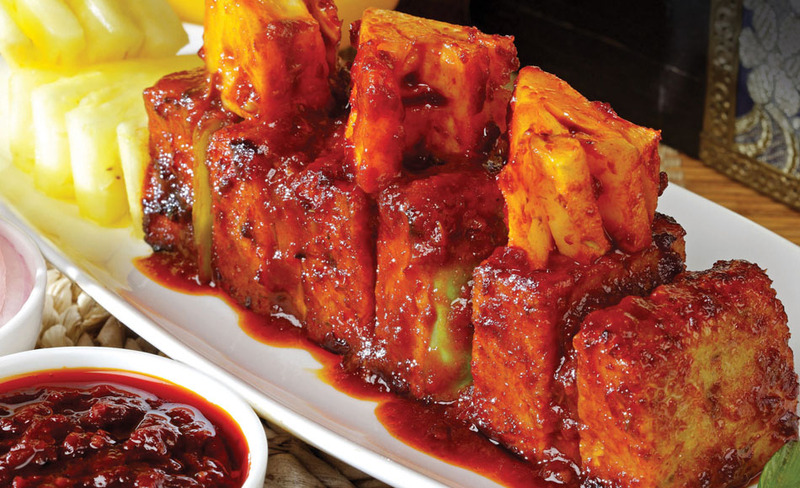 Boneless chicken cubes marinated in a hot and sour sauce, arranged on a skewer with pieces of pineapple, chargrilled. 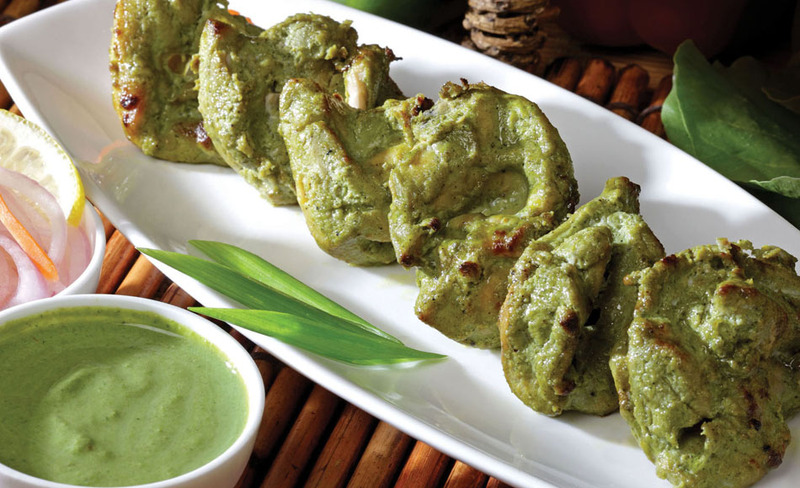 Cubed chicken in a green chilly paste marinade. 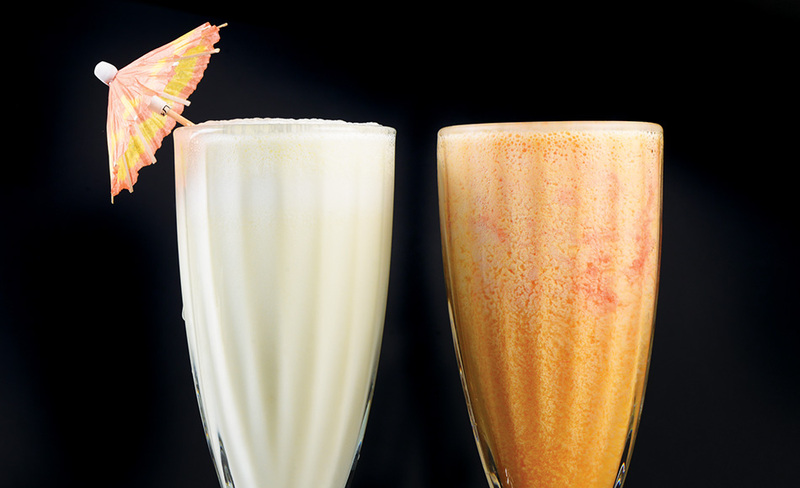 Slightly spicy. 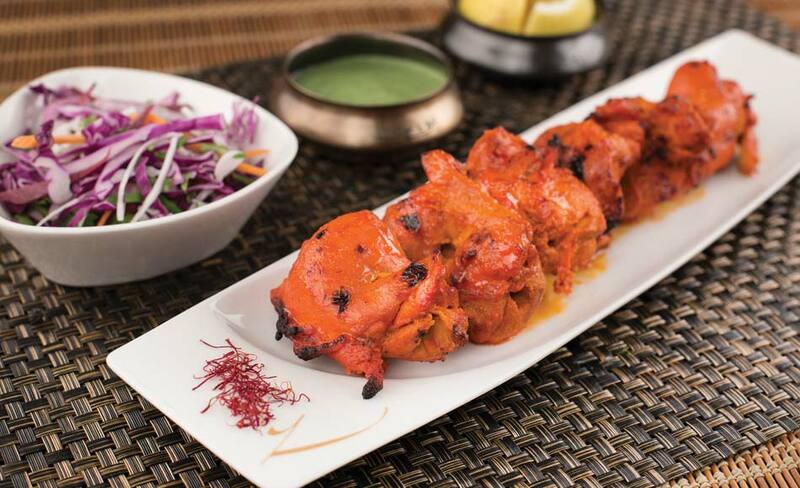 Boneless chunks of chicken marinated in delicately flavoured saffron yoghurt chargrilled to perfection. 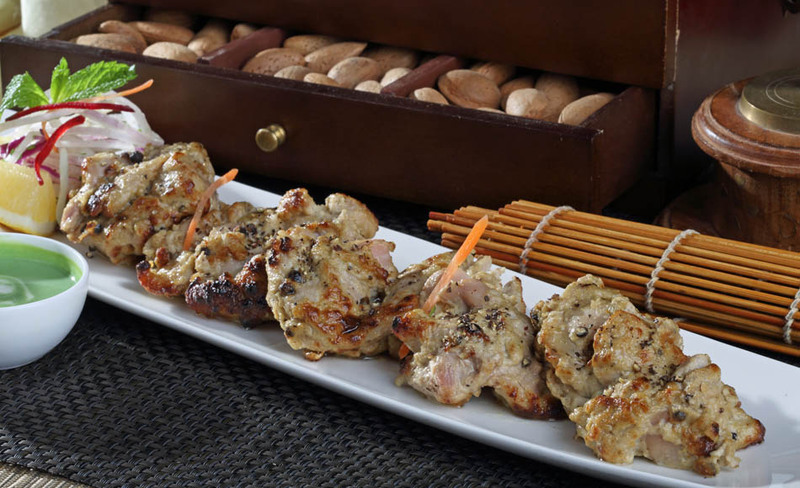 Melts in the mouth morsels of chicken marinated in yoghurt flavoured with cream. 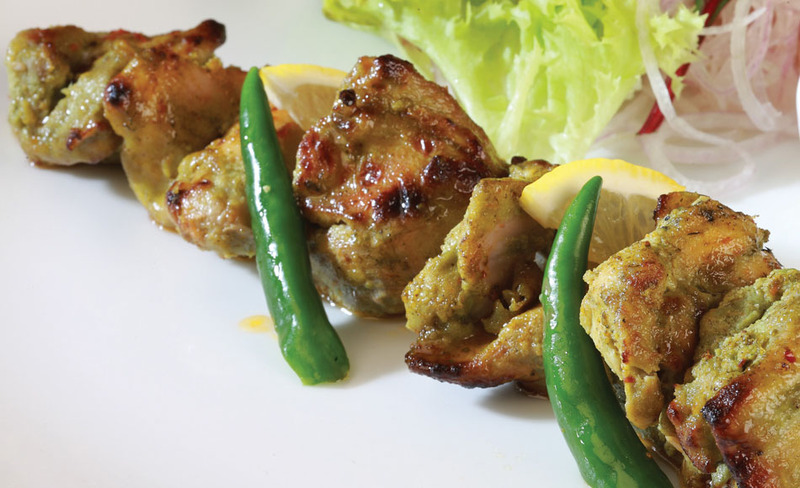 Boneless chunks of chicken marinated in yoghurt flavoured with green fenugreek. 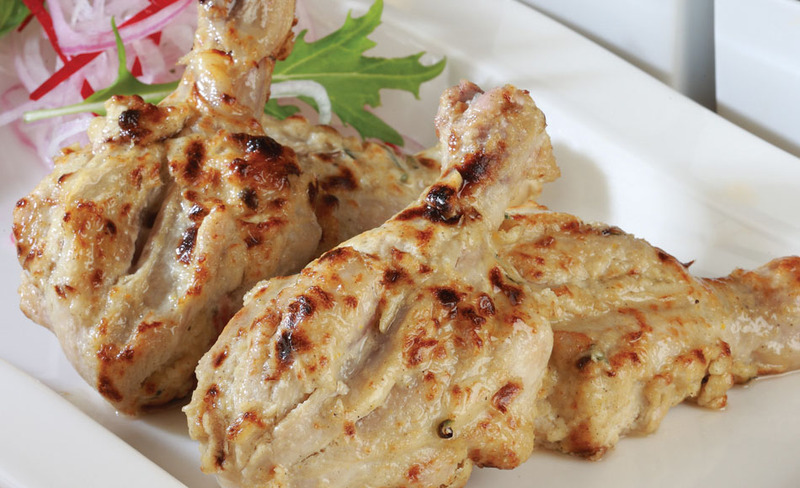 Melt in the mouth morsels of chicken marinated in a mixture of yoghurt, roasted gram flour, cream and eggs, chargrilled. 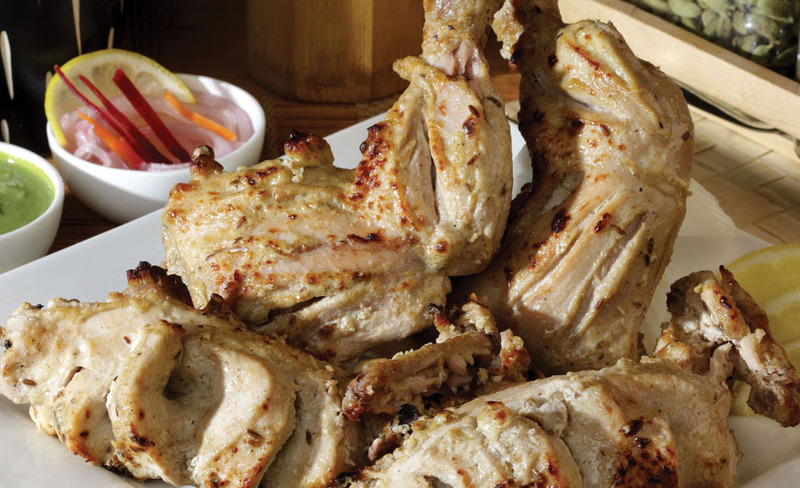 Tender chicken drumsticks marinated in yoghurt flavoured with lime, cream and crushed pepper corns. 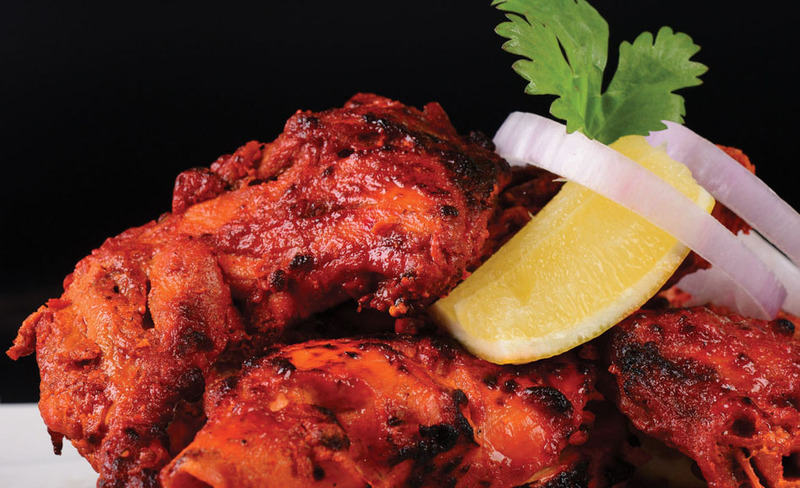 Boneless chicken marinated in yoghurt spiced with freshly ground black pepper and gently grilled. 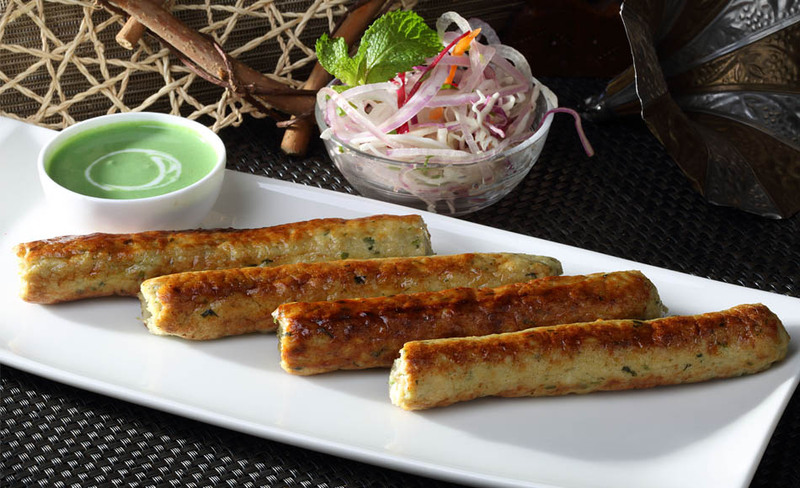 Seekh made from cardamom scented chicken mince stuffed with creamy filling of mint and coriander. 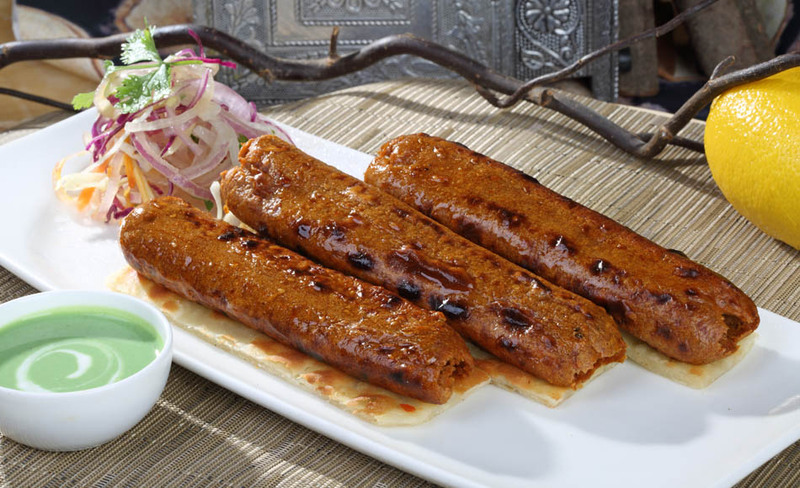 Mildly spiced chicken mince seekh, chargrilled. 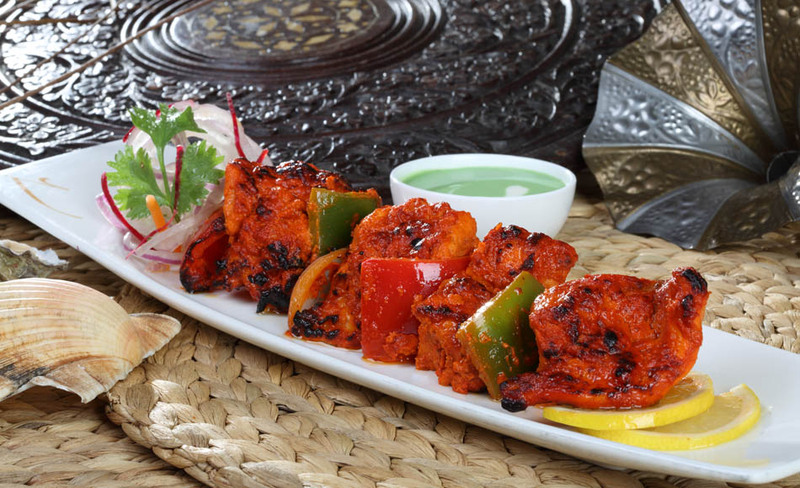 Tantalising boneless chunks of chicken marinated in pickle flavoured yoghurt chargrilled. 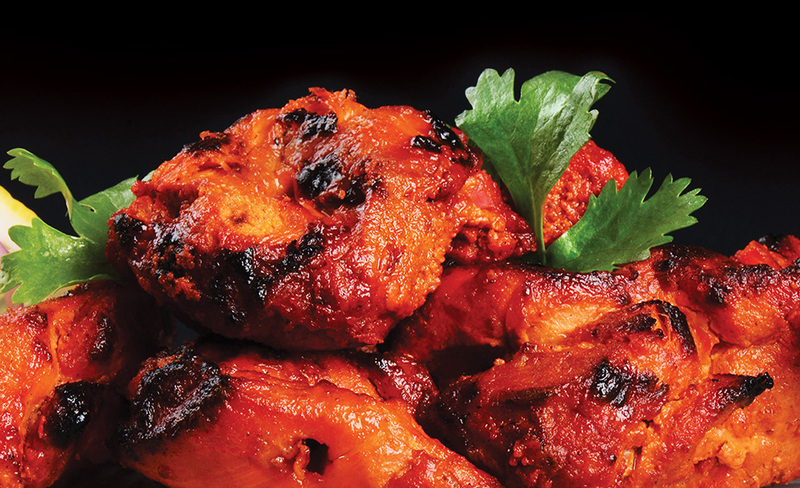 Boneless chunks of chicken marinated in tandoori masala flavoured yoghurt chargrilled. 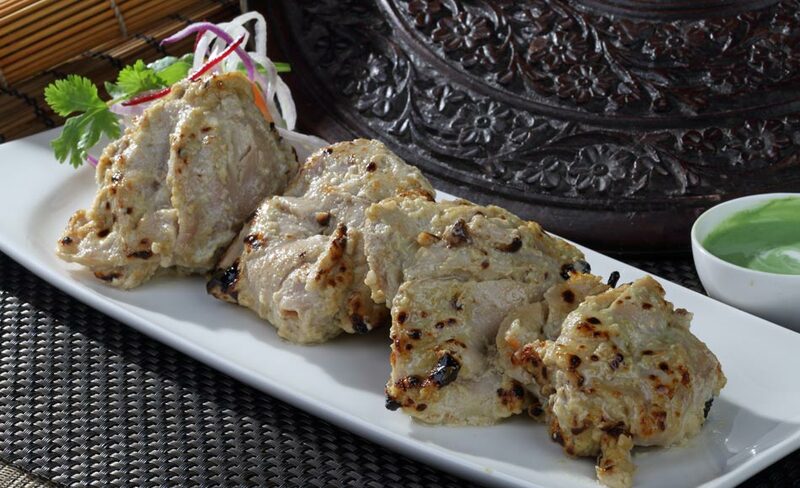 Breast of chicken delicately marinated in yoghurt, cream & mild spices chargrilled. 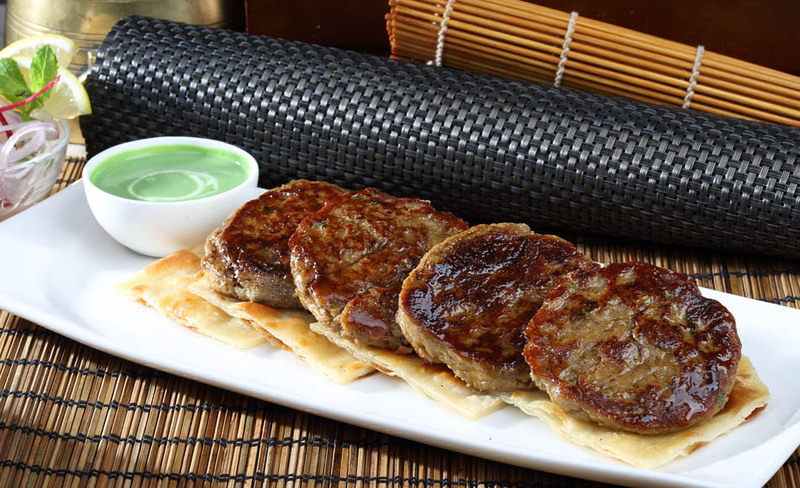 Melt-in-mouth morsels of mutton marinated with cream flavoured yoghurt, chargrilled. 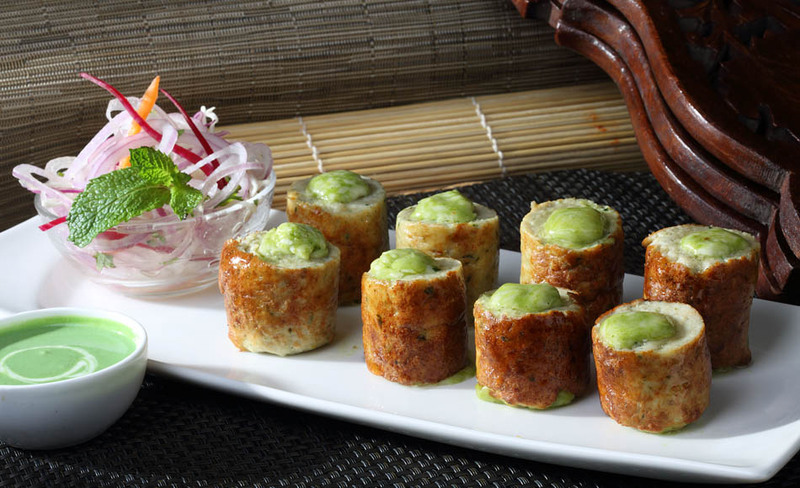 Cubes from the rack of mutton in a marinade of aromatic spices, garlic and ginger paste yoghurt and young papaya, chargrilled. 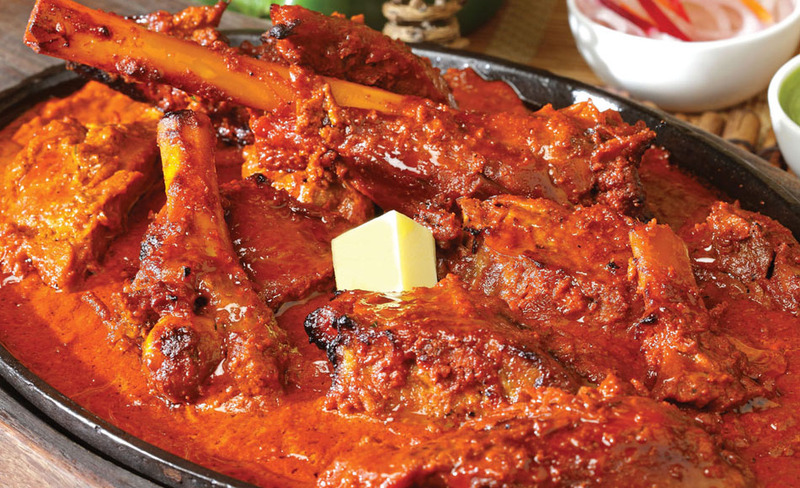 Leg of tender lamb is marinated in ginger, garlic, garam masala, curd, lime juice and chilli powder, kept overnight. 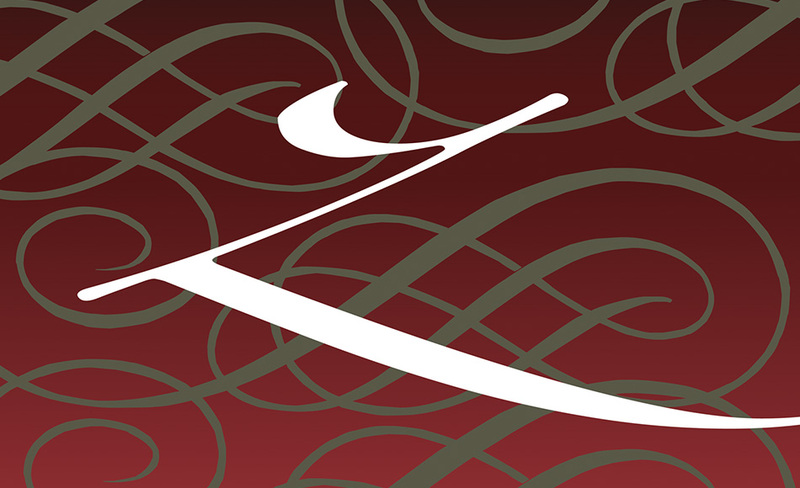 and cooked in a slow process in an oven. 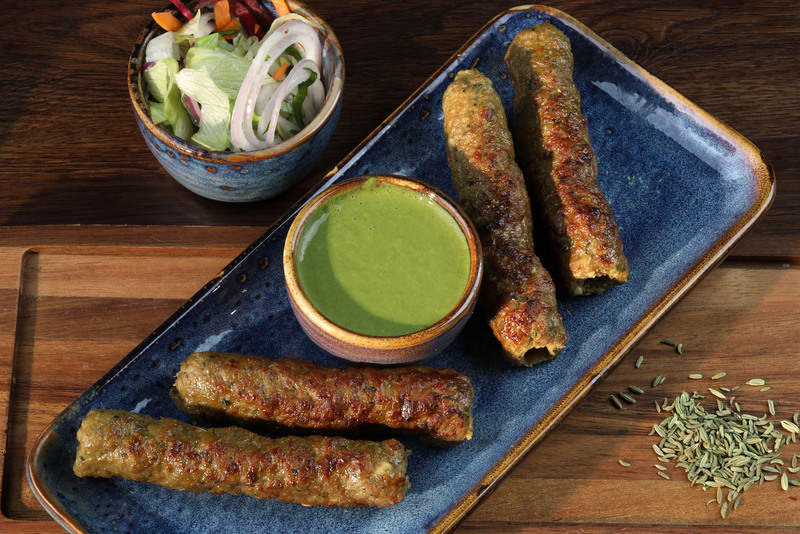 Fine lamb mince mixed with spices, chopped green chillies, coriander formed into tikkis. 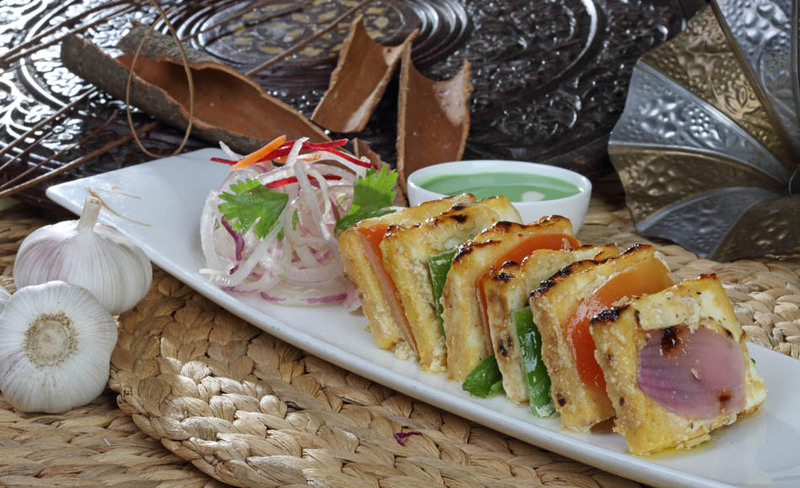 Shallow fried on hot grill served on a bed of reshmi paratha. 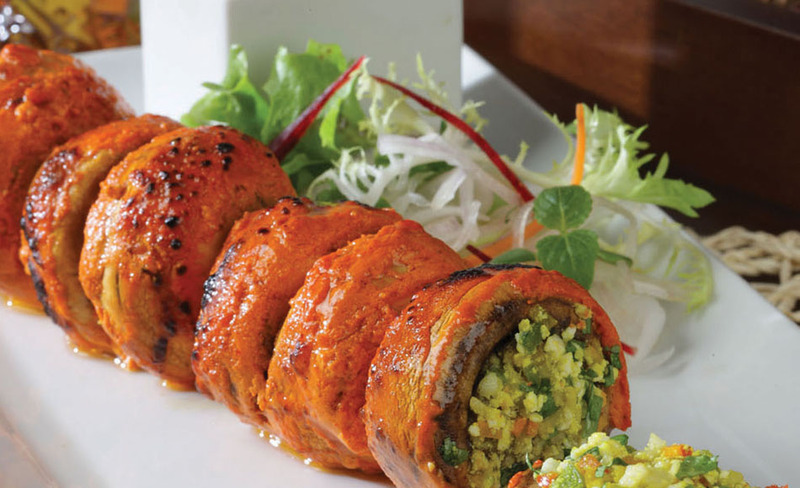 Mince mutton mixed with gramflour, raw papaya, cumin, cashewnut paste, garam masala powder, saffron and kewda. 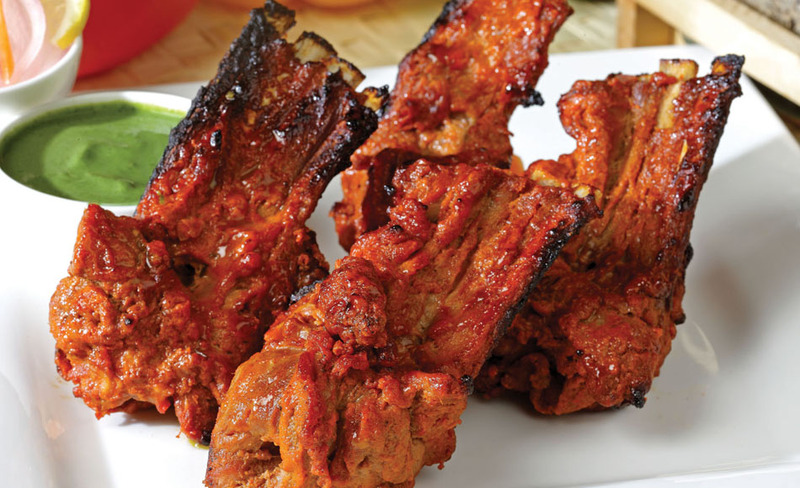 Placed on skewer and chargrilled. 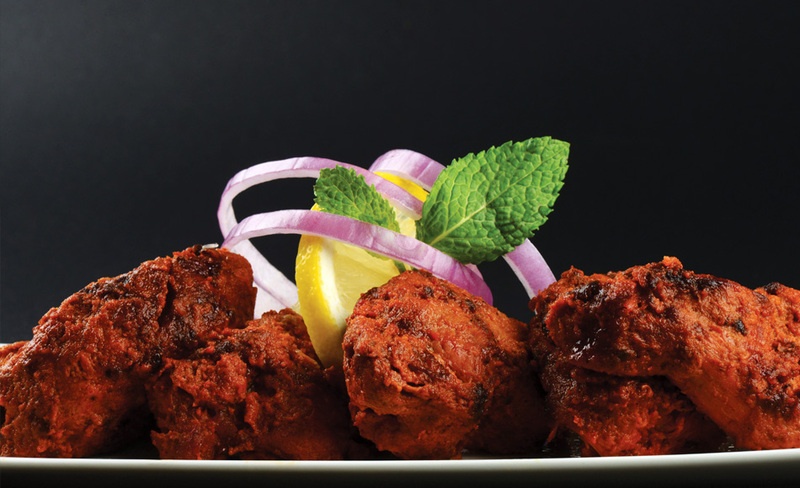 Tender mutton chops marinated in yoghurt, cream, delicately flavoured with pepper, and spices chargrilled. 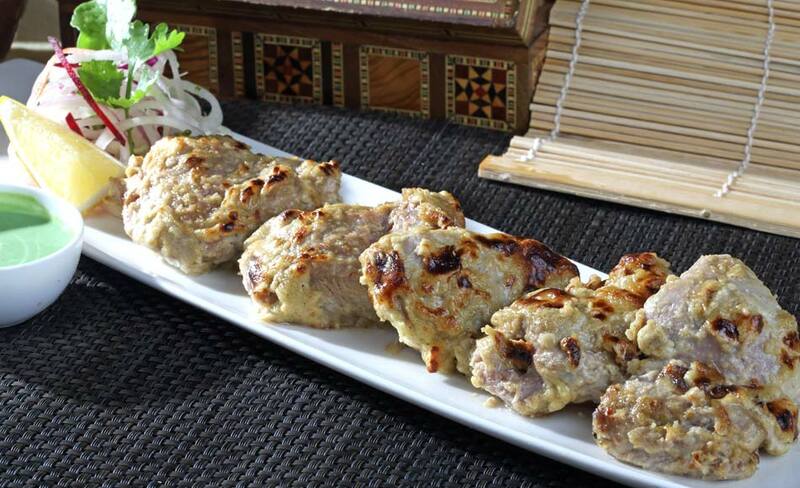 Mutton mince blended with subtle spices, flavoured with saffron, skewered and chargrilled. 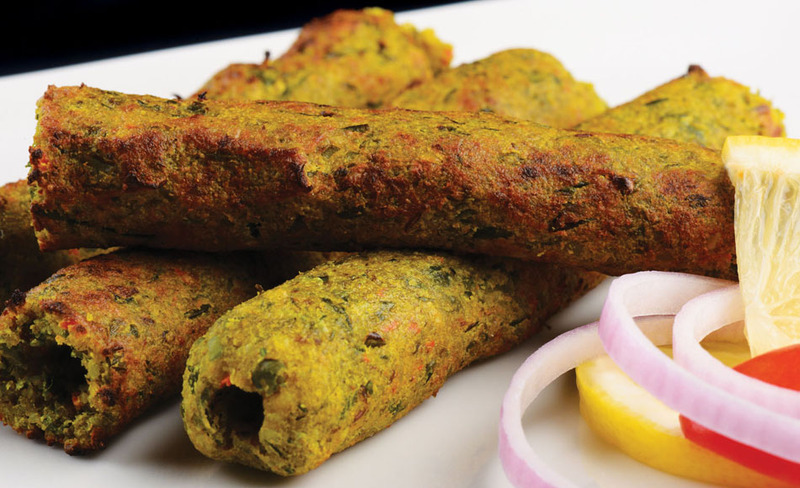 Mutton mince, blended with fresh coriander, mint, ginger root, onion subtle spices, skewered and chargrilled. 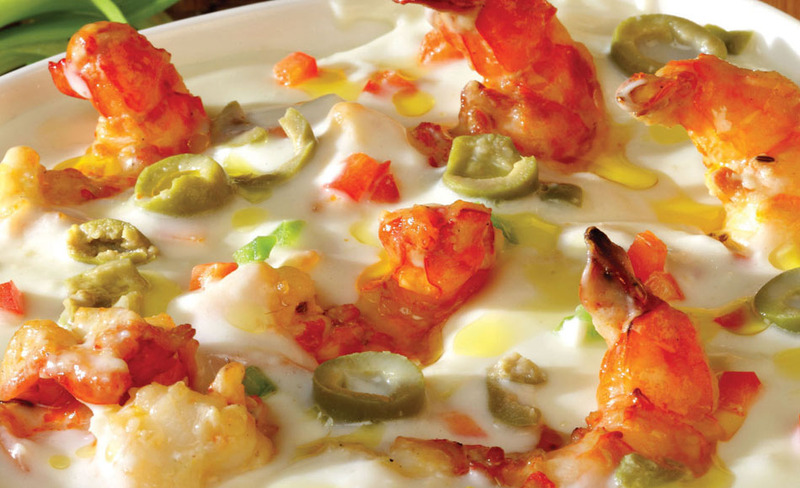 Jumbo prawns grilled with a coating of cream and yoghurt delicately flavoured with a mixture of chopped olives and spices. 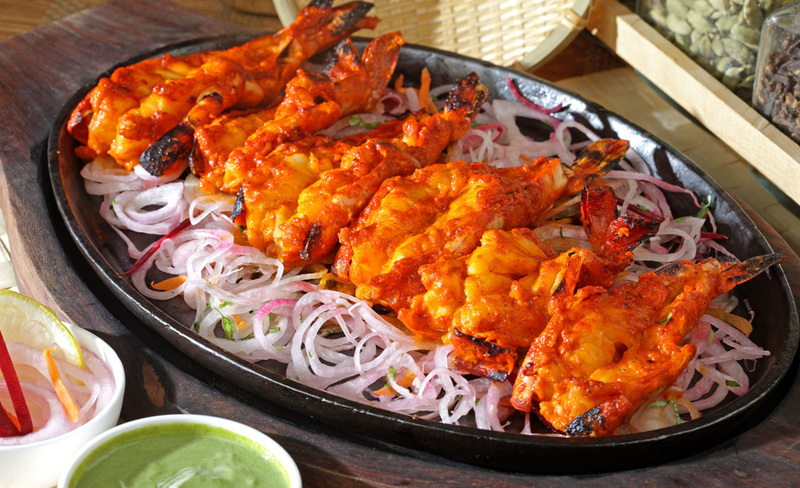 Jumbo prawns marinated in yoghurt and tandoori masala chargrilled. 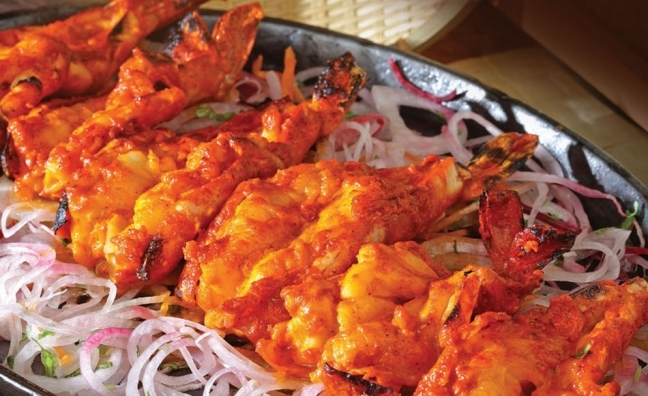 Soft medium sized prawns marinated in peppercorns flavoured yoghurt and spices chargrilled. 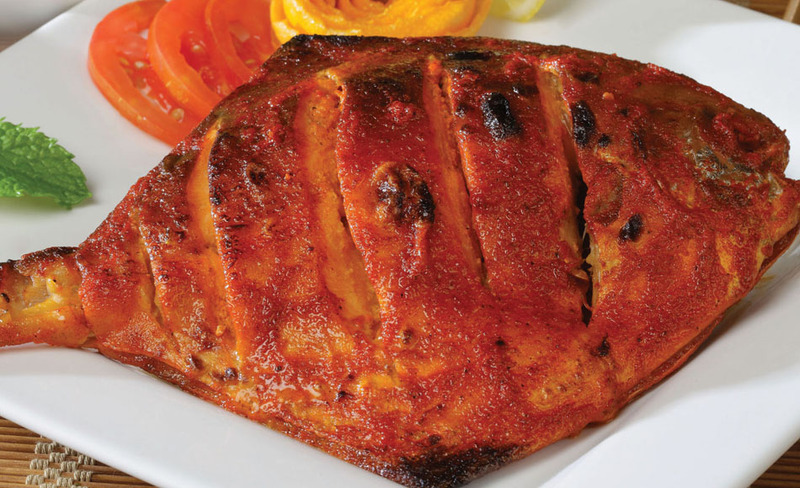 Whole white pomfret marinated in a marinade of tandoori masala flavoured yoghurt chargrilled. 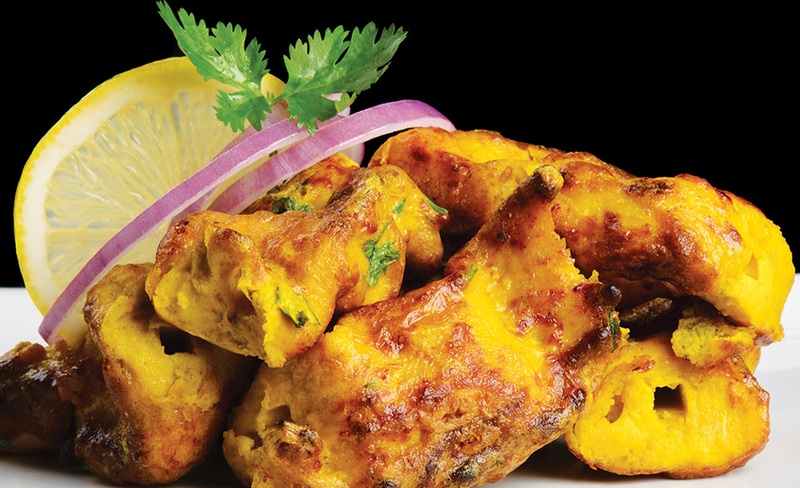 Delicately flavoured fillet of fish in mustard and garlic flavoured marinade chargrilled. 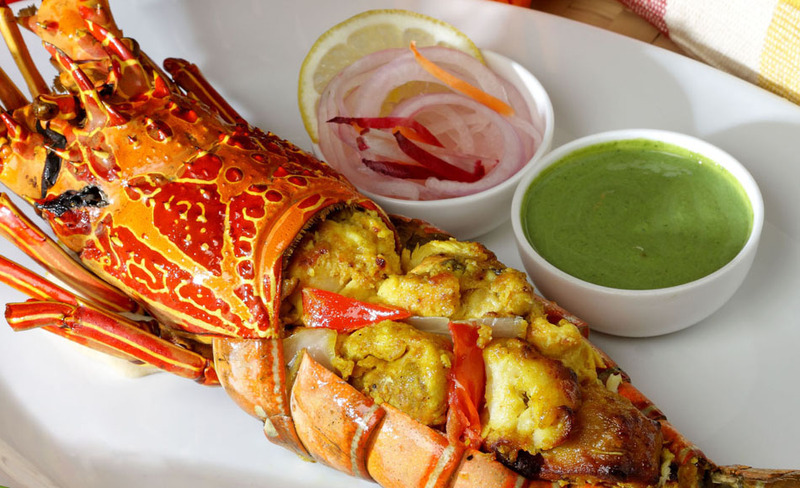 Lobster marinated in tandoori masala based yoghurt and grilled. 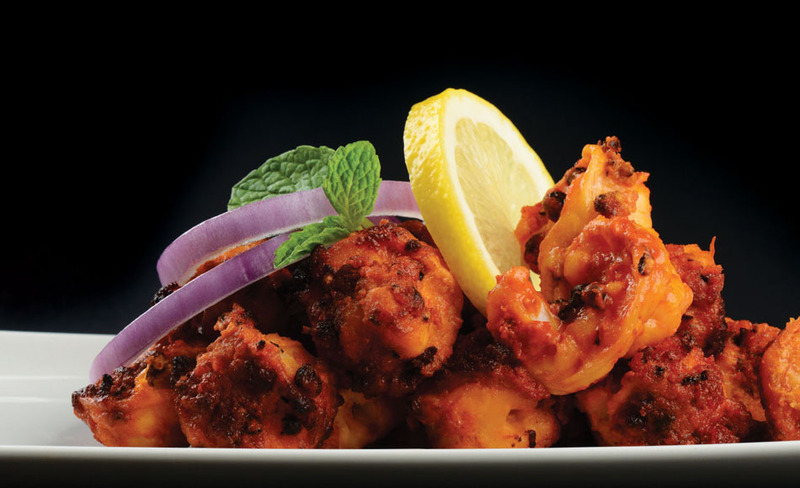 Jumbo prawns marinated in chef's special masala. Chargrilled served on a sizzler. 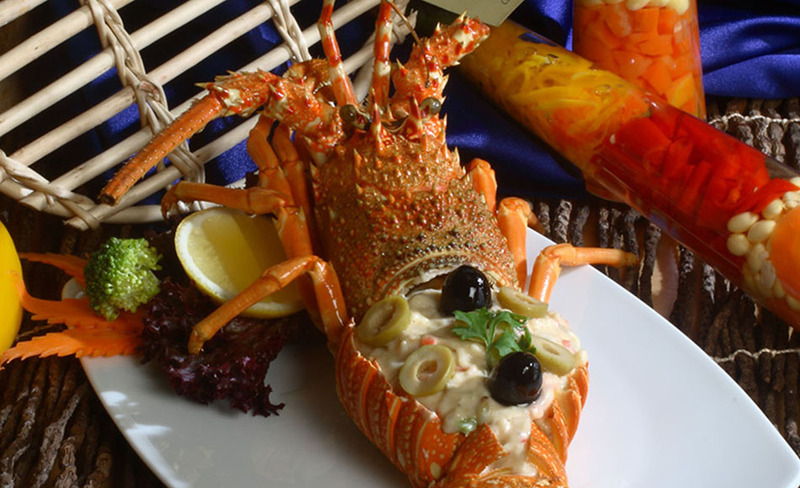 Lobster pieces cooked with chopped olives, cream, chicken mince and seasoning. Served stuffed in the lobster shell. 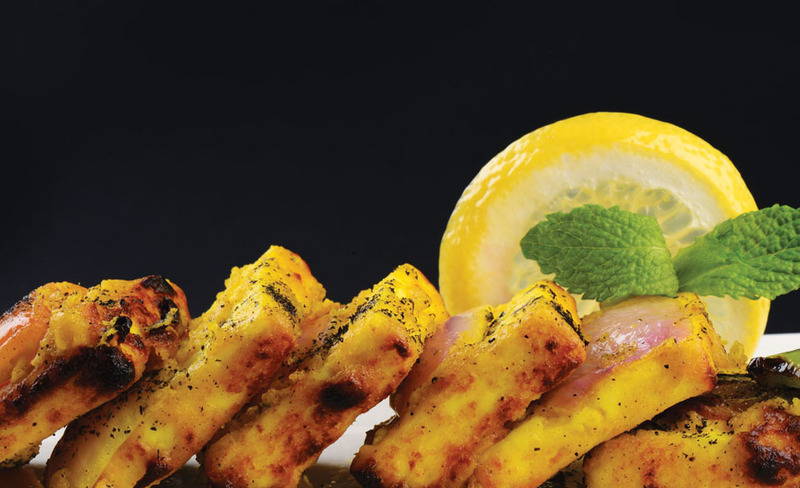 Fillet of hammour/pomfert refreshingly marinated in a citric blend of lemon juice and thymol seed and yoghurt chargrilled. 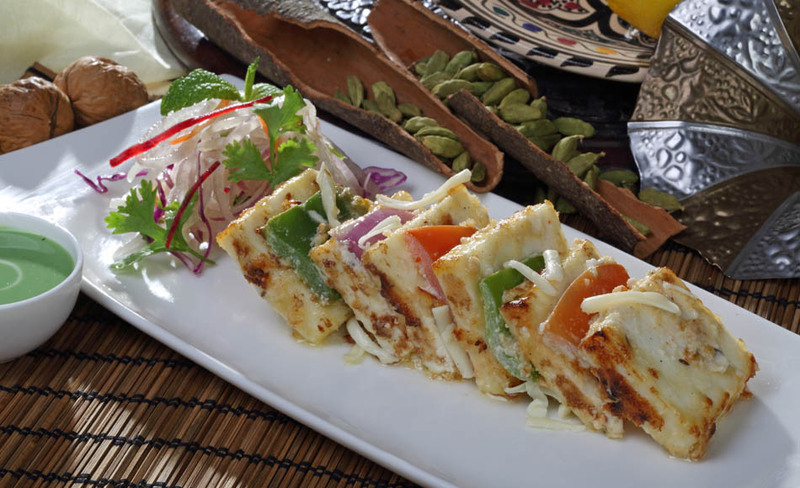 Cubes of Indian cottage cheese marinated in pickling spices and masala cheese, chargrilled. 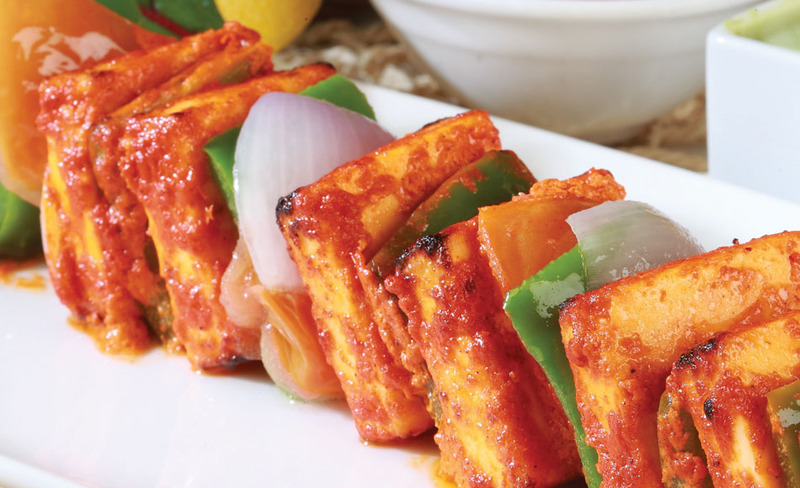 Cubes of malai paneer marinated with yoghurt, garam masala, delicately falvoured with garlic, chargrilled. 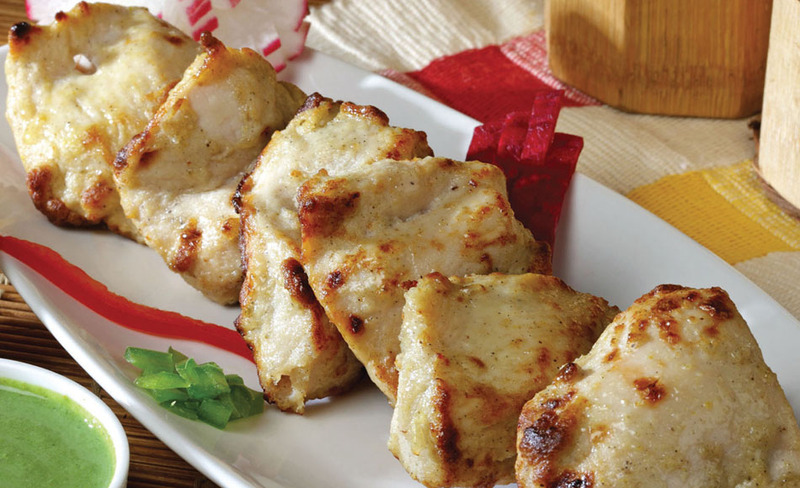 Soft cottage cheese, marinated in a mixture of yoghurt spices and mint, chargrilled. 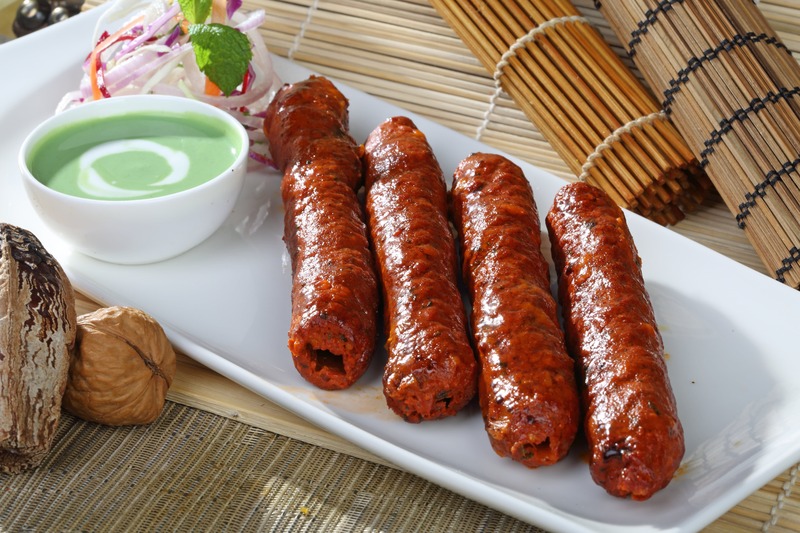 Succulent pieces of cottage cheese, marinated in yoghurt, fennel seed powder, tandoori masala, chaat masala and garam masala. 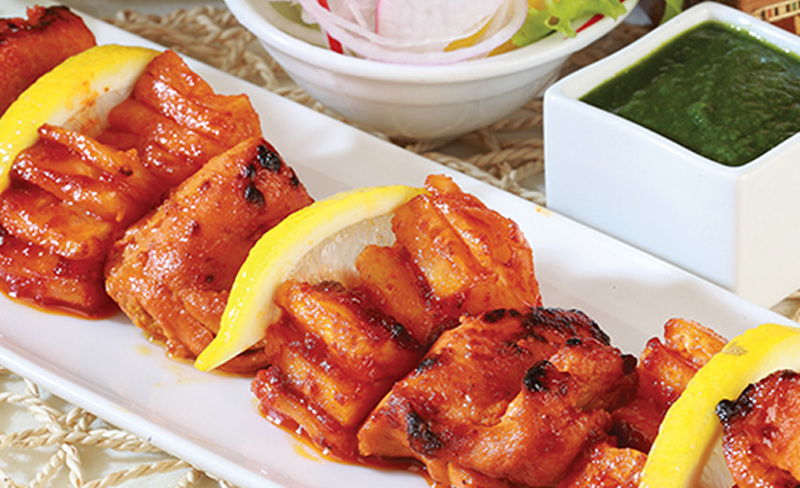 Soft cottage cheese cubes marinated in yoghurt, flavoured with tandoori masala, chargrilled. 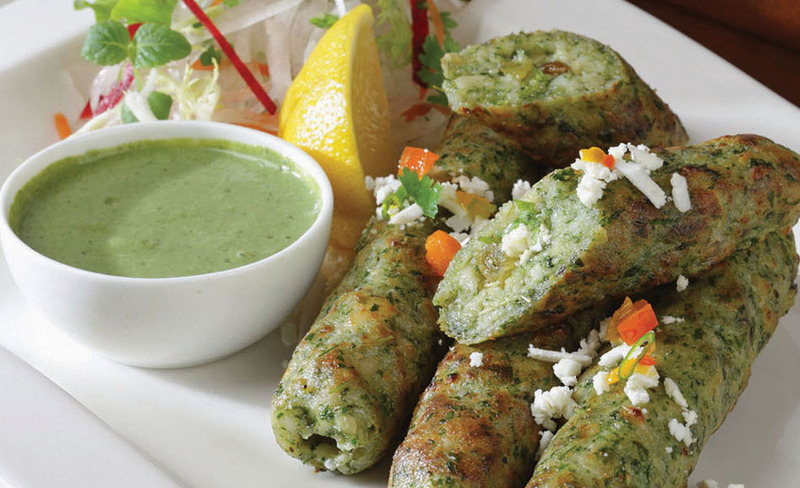 Skewered minced cottage cheese, potatoes and fresh fenugreek leaves, tempered with chaat masala, green chillies and fresh coriander, chargrilled. 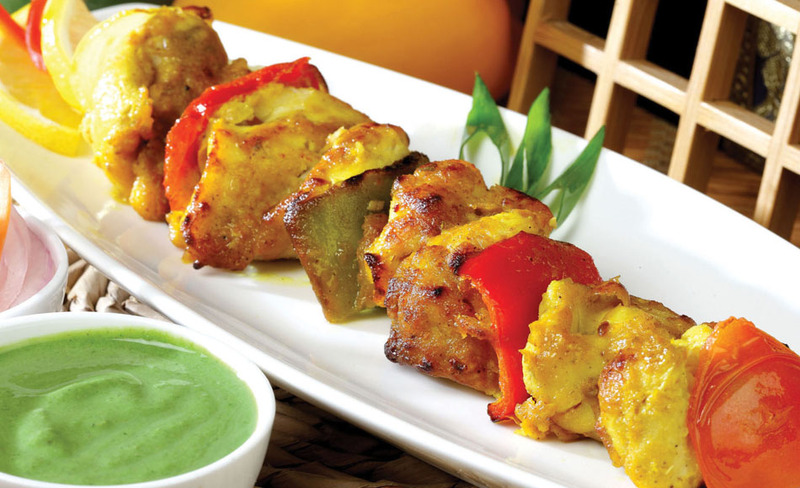 Blend of selected fresh vegetable chopped made into tikka marinated in hot and sour sauce arranged on skewer with pieces of pineapple, chargrilled. 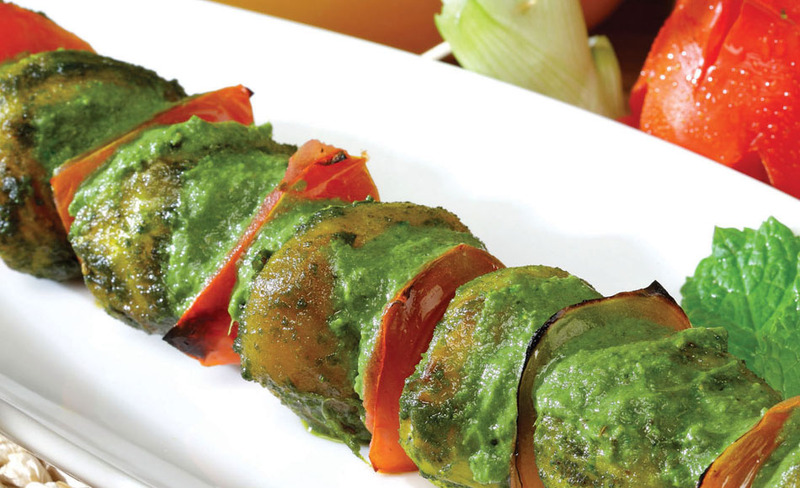 Minced mixed vegetable blended with fresh herbs, chaat masala, green chillies, skewered and chargrilled. 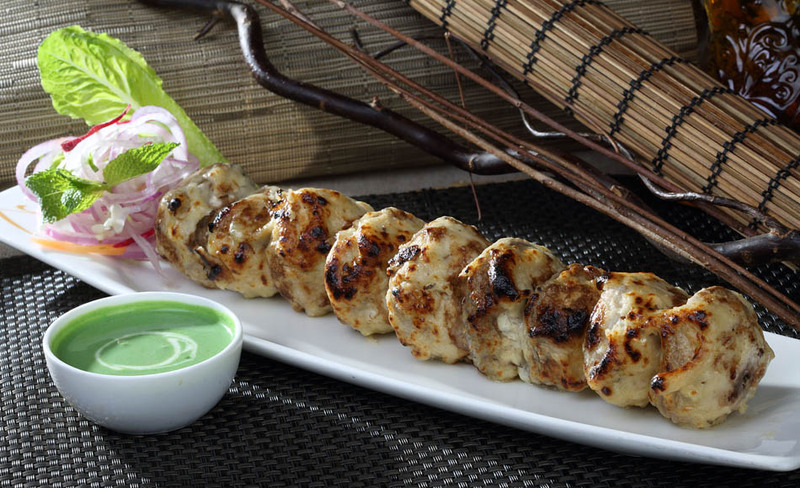 Fresh mushrooms stuffed with spinach and cottage cheese, marinated in yoghurt and spices chargrilled. 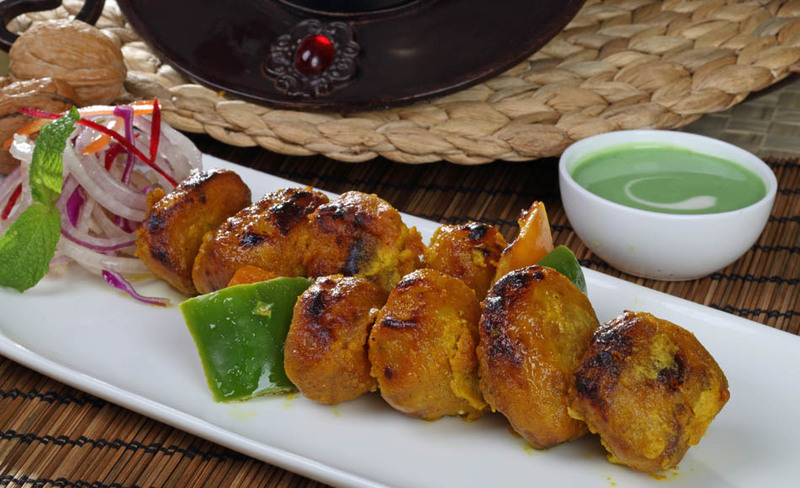 Fresh button mushrooms marinated in a mixture of yoghurt, cream, coconut powder, ginger, spices, fresh coriander, chargrilled. 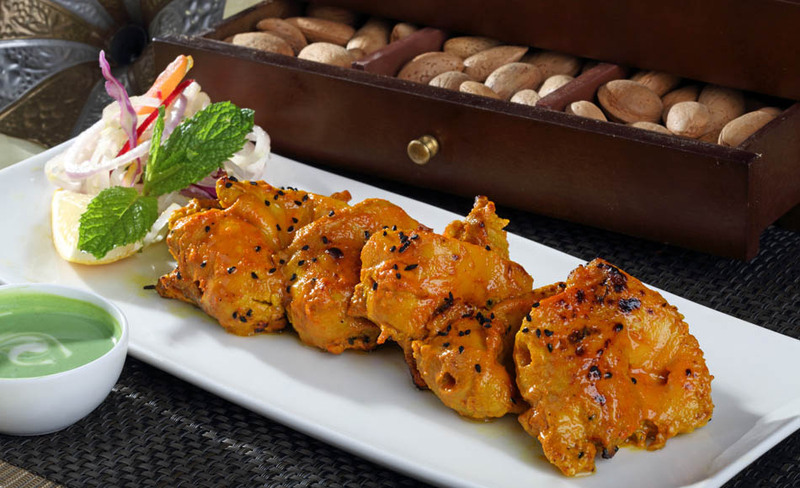 Baby potatoes marinated in a special tempered masala of cumin, ginger, garlic and chilli powder chargrilled. Baby potatoes marinated in a chutney made of fresh mint, fresh coriander, pomegranate seeds, tomato, green chilli and yoghurt chargrilled.